Once again the September meeting will be held Sunday of the Wild Outdoor Expo, 9/9/18. Approximately 1:00 PM. Published by admin, in Archive, Uncategorized. Trapper’s education will be held on September 22 and 23 at the Hacketstown fish hatchery. 23 Reese Ave. Hackettstown NJ 07840. 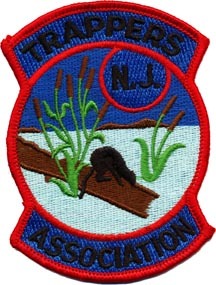 Registration is now available on the NJDEP division of fish and wildlife website. Class will be held rain or shine so please watch the weather and dress accordingly. It is recommended that you bring a lunch. Yep – that’s right. The August meeting will be 8/5 at the Clinton Office starting at 1 PM. All sportsmen and sportswomen are invited. Our June meeting will be held Sunday, 6/3 at 1:00 PM at our booth at the Pequest Open House. We are inside the building on the right. Join us for our February meeting Sunday, May 6th 2018 in Clinton Office at 1pm. All Sportsmen and Sportswomen welcome! Marty Scanlon Scholarship Applications are available NOW! The picnic starts at 12:00 PM on June 24, 2018 and the July meeting will take place at 2:00 PM (time is approximate). It will be held at Furnace Lake, Oxford, NJ and is free for all our members, their family, and guests. For more information contact Tom Mulea, 908-752-3616. The March meeting will be Sunday March 4th 2018. But it will be held at Jay Staudt’s home at 1pm. Join us for our February meeting Sunday, February 4th 2018 in Clinton Office at 1pm.